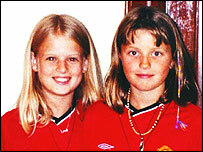 A detective who investigated the murders of Soham schoolgirls Holly Wells and Jessica Chapman said he was "humbled" to be made an MBE. Det Ch Insp Gary Goose, 44, of Cambs Police, was given the award for services to policing. As well as being a member of the senior team investigating the murder, he was also appointed family liaison co-ordinator to the girls' families. In 2004 he was commended for his leadership and sensitivity. After hearing of his inclusion in the Queen's New Year Honours list, Det Ch Insp Goose said: "It is humbling to think that someone considered my efforts significant enough to justify a nomination for this honour. "I am very pleased to accept it, but I recognise that it is as much a tribute to the talents, hard work and dedication of many of the colleagues with whom I have worked over the years." Det Ch Insp Goose joined Cambridgeshire Police as a police constable in 1982. In 1986 he was commended for bravery after saving two US servicemen from a gang of violent football supporters. In 2000 he was commended for his leadership and professionalism after foiling an armed post office raid in Peterborough. Cambridgeshire Chief Constable Julie Spence said: "I'm delighted that Gary has been honoured for his professionalism and commitment to policing in Cambridgeshire." Other awards for people living in Cambridgeshire. Prof Michael Pepper. Professor of Physics, University of Cambridge. For services to physics. David Frederick Stevens, QPM. Formerly Chief Constable, Essex Police. For services to the Police. Prof Philip John Dale. Member, Agriculture and Environment Biotechnology Commission. For services to science; Dr Michael Richard Lynch. Founder and Chief Executive, Autonomy. For services to enterprise; Reginald George Purnell. Chief engineer, Department for Environment, Food and Rural Affairs; Cheryl Rolph. Director of people and performance, Cambridgeshire Fire and Rescue Service. For services to the fire and rescue services. Anthony Michael Barnes. For services to the community in Cambridge; Roy Harold. Group manager, Buckinghamshire Fire and Rescue Service. For services to the fire and rescue service; Stephen Paul Mingay. Temporary Inspector, British Transport Police. For services to the community in London; Patricia Molloy. For services to Disabled Children in Cambridgeshire; Peter Anthony Rowe. Director-General, Institute of Credit Management. For services to business; Timothy Raymond Wade. Duty Line Manager, London Underground. For services to public transport in London; Geoffrey Watts, JP. Assistant principal, St Neots Community School, St Neots, Cambridgeshire. For services to education.